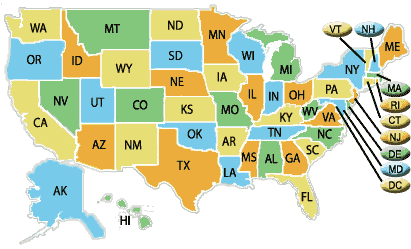 Choose a state to see food safety state requirements and approval information for that state. Food safety requirements for managers in establishments where food is prepared are based on state and county regulations. Click your state to determine if our course meets your state's food safety requirements for food managers.